The Batteries Plus Discount for World Hail Network Members is just one of the many perks. The World Hail Network has a corporate agreement with Batteries + Bulbs. Our Members will receive Wholesale Pricing (10-50% Discount depending on the product and the store location). Note: This is a cash and carry account which means that you must pay for your products with cash or credit on the spot. Some locations will accept checks under $100. There is no credit line to charge on this account. When checking out, simply let the cashier know that you are a member of the World Hail Network and ask them for the corporate rate. You will need to show them your Directory Listing or Business Card with WHN Logo. Almost all of their locations are franchises and so each store may differ. Our Corporate Commercial Account is set up in Denver, but will be honored at most of their locations nationwide. If you need to place a large order, it is advisable to call ahead so that they can prepare the best quote for your order. 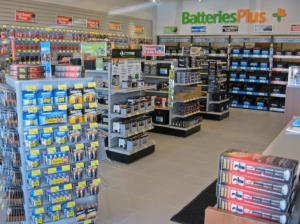 Roger in the Denver/Pueblo Commercial Account office helped us set up the Batteries Plus discount and you can also order direct through him at 303-932-6247. He can even take your order and have it ready for you to pick up at your local store. We hope this saves you so money. Don’t forget to say “Thank You for your Batteries Plus discount“. Not a member yet? 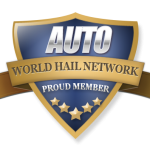 Become a member of the World Hail Network right now!